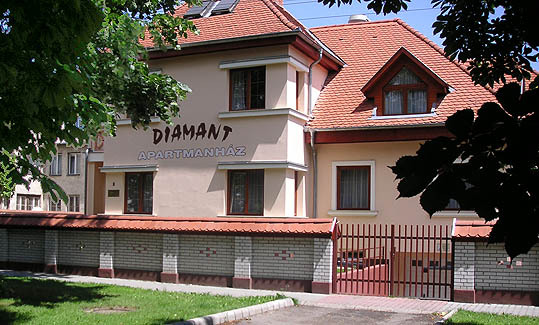 Diamant Apartment offers great accomodation for those who aspire relaxing after blissful days in the famous city of grape and wine, in Eger. It takes only a couple of minutes to approach the city center, the Spa, and the Valley of Szépasszony from the Apartment by walk. The Apartment, which is separated into two buildings, consists 15 individual, disparate flats. Each flat possesses a well-equipped kitchen, a bathroom, and a high standard living room. Permanent stay is also possible, for a fixed monthly price.